Situated at the heart of Kerala and at the confluence of three amazing mountain streams – Kundala, Nallathanni and Mudrapuza; Munnar invites tourists and trekkers all round the year. 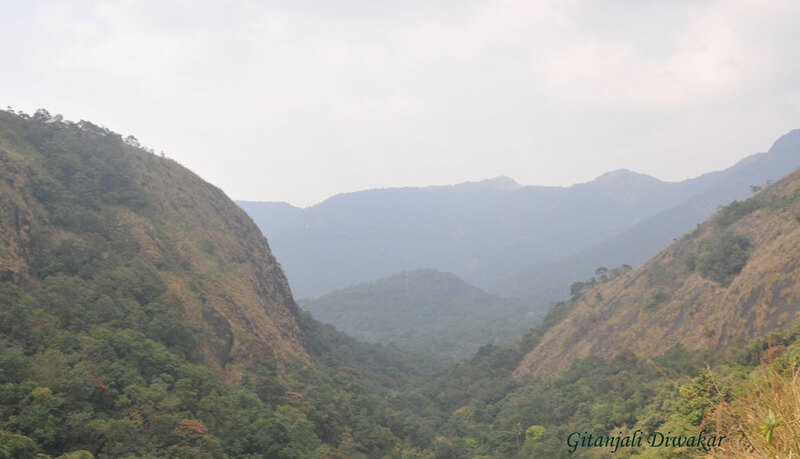 Well, this was my second visit of Munnar and I have two different experiences to share. Our pick up point was at Hydel Park, not far off from the hotel that we were staying. Inevitably, I was very excited for my first trekking experience in Munnar! Had a morning tea and some freshly Idli dipped in exotic sambar, we were advised to pack light as the journey could be a bit long and tiring for non-regulars. Jobi dropped us at Hydel Park at around 7 O’clock and our guide was already waiting for us with his umbrella as was mild raining outside. Well, all our bags held were cameras; the umbrella helped a lot to save our gears from rain. Here is our guide Sanu who took us to all amazing trekking points and shared his amazing knowledge about various places to explore around Munnar. Some other trekkers for the day were already seated inside and we collectively formed a young and enthusiastic group! Well, we hadn’t yet reached our trek point and we already felt like living the life of a traveler. It took about 15 minutes to reach the Lakshmi Estate Tea Plantations but we had already been travelling through the most beautiful part of this part of the country. We crossed about 4 other big plantations before we reached the spot. We greeted a few workers as they were busy plucking and started trekking toward grassland. As we set foot on the first downhill, the real beauty of the hills gathered upon us. In front was the most serene landscape we had ever seen. A 30 minutes walk through a breathing fresh landscape took us to sprawling grassland – virgin and untouched. To add to the experience were the chirping of birds from the bushes, colorful butterflies filling up from wild flowers and an aroma filling up the air that can make your life the most peaceful. I understood another reason why people here live such a satisfied life. Hard work and nature leaves little time for the troubles that we face in the world. The grassland led us through another 8 km of trek to reach the view point near Hotel Hill View. It took us a good five hours of hiking through the elevation and downhill and the loose rocks. This is where I would like to point out the importance of having a good pair of hiking shoes with you. We stopped for more than a couple of times to get photographed, take photographs and have a sip of the water. The atmosphere was cloudy and foggy but at this elevation, about 1600 mts. above the sea level, it was a company rather than a reason for distress. Here is the first view of grass land and it was just the begining of our journey. 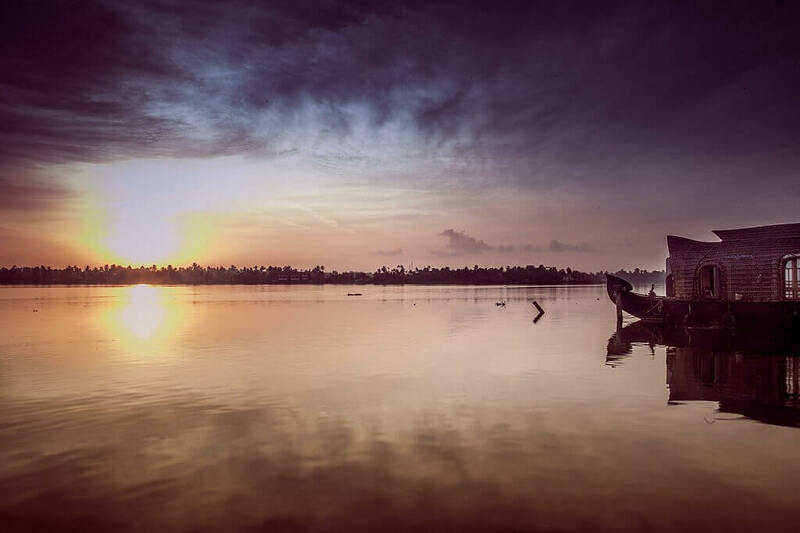 The view point provides incredible view of the picturesque Chenkulam Dam, Chithirapuram, Anachal, Pothenmedu, Pallivasal and the famed 2nd Mile among several others. Being on top of all this automatically gives you a sense of achievement. The 5 hour long tiring trek was not tiring enough to get us seated! Everyone was frantically looking for spots to photograph the landscape around and take selfies! For us three, it was a full 20 minutes gaze from the edge of the viewpoint and experience the Godliness. After about an hour at the viewpoint, it was time to turn back and promise a return. A shorter trek through tea plantation takes another 1 hour to reach the main road. However, there’s another short cut that should take you no longer than 45 minutes to reach the road. We took the longer one as we wanted to make the maximum of the day. The whole trek required per head expense of just INR 1000 and it covered the entry permits to the tea plantation, the guide charges and the sponsored breakfast. Having a guide along is certainly helpful as you know more about the place you are in and get to relive both its history and its routes. We got back to Munnar by 2 PM as we took a jeep from Nature’s resort which saves our 2 hours and started our journey to Thakkedy. It was once in a lifetime experience having a tea plantation and grassland trekking trip in Munnar. I promised Sreekumar to plan Mishapulimallai trekking during my next Kerala trip soon. 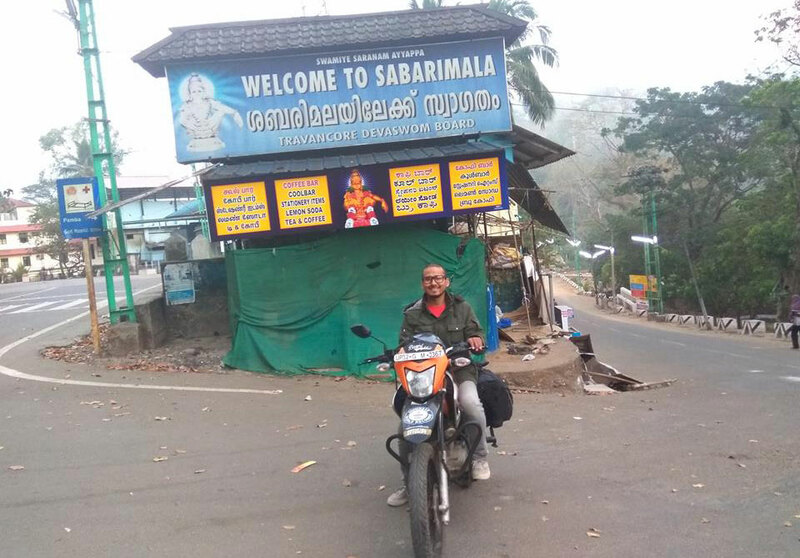 My Quick Visit to Sabarimala - World's second largest pilgrimage in Kerala. Wonderful location for trekking. I thought Munnar is only about hill station but your trekking experience gave me new travel goal. I will definitely try this trekking experience in my first visit of beautiful state Kerala !